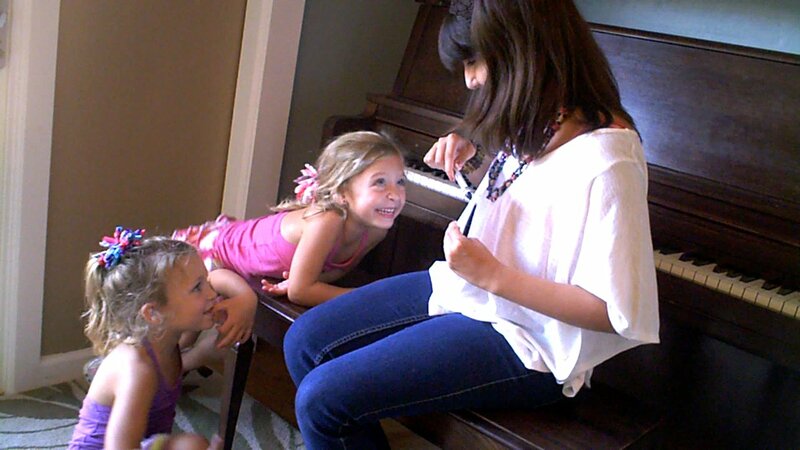 Alex learns to play a song from Enchanted at her piano lesson this week! 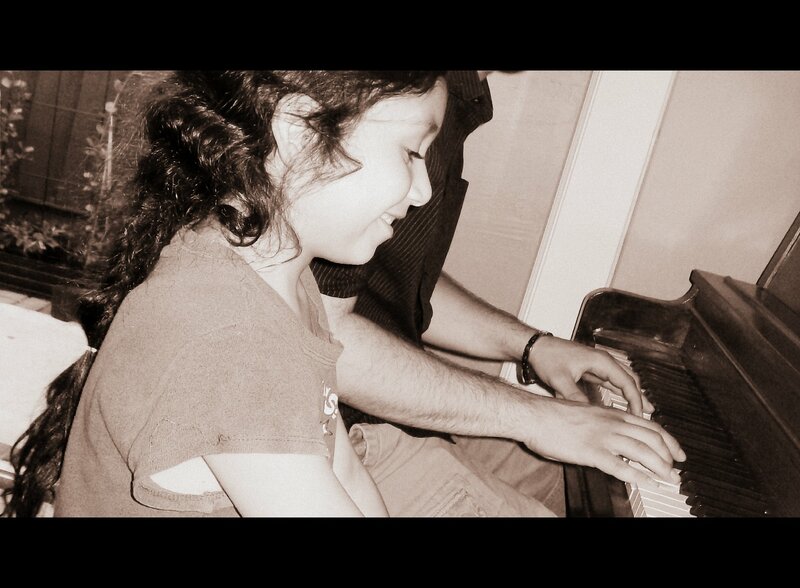 Alex works on playing a song from the movie Enchanted in her piano lesson. It has a tricky syncopated rhythm that she is working with. Alex is a dedicated student who practices regularly. She also has a strong ear for music and rhythm that helps her figure out songs with more complicated rhythms like this one. She is a fun student to work with and I think she will go far in music and we are lucky to have her at Willow Glen Music School. Welcome Patrick to his first Guitar Lesson yesterday! Patrick had his first guitar lesson yesterday at Willow Glen Music School. He comes with no guitar experience but is motivated and excited to play. His teacher said he caught on quickly and was playing chords in the 1st lesson. Patrick is on the right track for learning to play songs by some of his favorite artists(Johnny Cash). Hendrix and I had fun yesterday at his piano lesson. He has been a student of Willow Glen Music School for almost a year now. A big part of learning to play an instrument like the piano is having fun with it. Take a look at how this student starts to improvise and work with the rhythm and instructions to play along with the teacher. If your child takes music lessons, ask him or her to play something they are learning for you, like a mini performance. This will boost their self-esteem and increase their engagement in the learning process. New Guitar teacher accepting guitar students now! 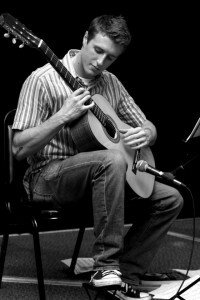 Meet Chris, he has openings for new guitar students starting next week. All our teachers have University training or professional performance experience. Our teachers are dedicated to learning about your musical goals and helping you to achieve them. In addition to their teaching credentials, our teachers have warm personalities, are dedicated to teaching you the style of music that you want to learn. Samuel’s Piano Lesson! An impressive performance from a beginner! Samuel is a beginner piano student. He says the piano method books are “boring”. He likes to play Rock and Roll. Take a peek at what a beginner can do! If you are new to piano, then check out this article to help you find the best keyboard for your beginner piano student. Welcome the twins, Brooke and Briana for their 1st voice lesson! They were so happy and excited to be here and Laura had a lot of fun with them. In their first lesson they learned about how to make different sounds on the piano, each of them played a duet with the teacher at the end of the lesson creating a song with the sounds they had learned. After that, they worked on developing a good singing posture and took big Santa Claus breaths together with the teacher. They continued on with Do-Re-Mi and then sung their favorite song “Twinkle Twinkle” to close the lesson. One of the best instruments for children who want to start music lessons. My piano, guitar and voice students love the lollipop drum because it fun and exciting. In class we use this to learn how to play in rhythm no matter what we are learning. You can do this at home as well. A good exercise for music students is to have the student copy a rhythm that you create and then reverse it and let them have a try. A general rule of thumb is that children can complete a rhythm of about as many notes as their age. It’s lightweight so even the littlest ones can use it, has a nice sound that won’t drive you crazy and kids LOVE the lollipop design!